Sorry I’ve been MIA the past couple days. Life on the crazy train isn’t always good. The family drama both on my wife’s side of the family and mine got out of control on Monday evening. So much so that I was up all night due to the stress and was out for the count on Tuesday. Yesterday became a very needed recovery day to get me back up and running today. I called out sick both days because I was not anywhere near well enough to work. I could have pushed it yesterday and just sucked it up to make it in to work. However, I thought that taking the extra day for rest and recovery would serve me better. I was right. I feel so much better today. I guess the lesson I learned is this…if you have the sick days available and need them, you should take them. I’m really glad that my bosses were understanding and told me that, if I needed the extra day, take it. I think I just need a day at Disneyland. Don’t you think? On this Throwback Thursday, I’d like to share a few pictures from my happy place…also the Happiest Place on Earth. The above photo was taken on my 33rd Birthday at Club 33 in Disneyland. Yep. 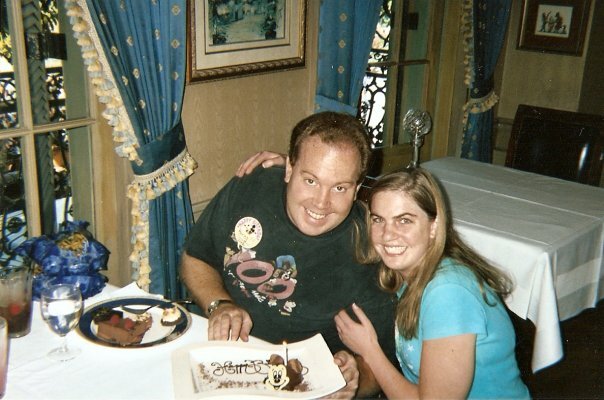 I went to Club 33 on my 33rd birthday. This was during our first year of dating. Brooke knew someone who was a member of Club 33 (though, they are no longer members) and arranged for me to have lunch with her at the most exclusive place to eat in Disneyland. It was pretty cool that it just so happened that my 33rd birthday was that year. I don’t know if I’ll ever get to eat there again. But, I’m glad to have had the chance to dine there once. 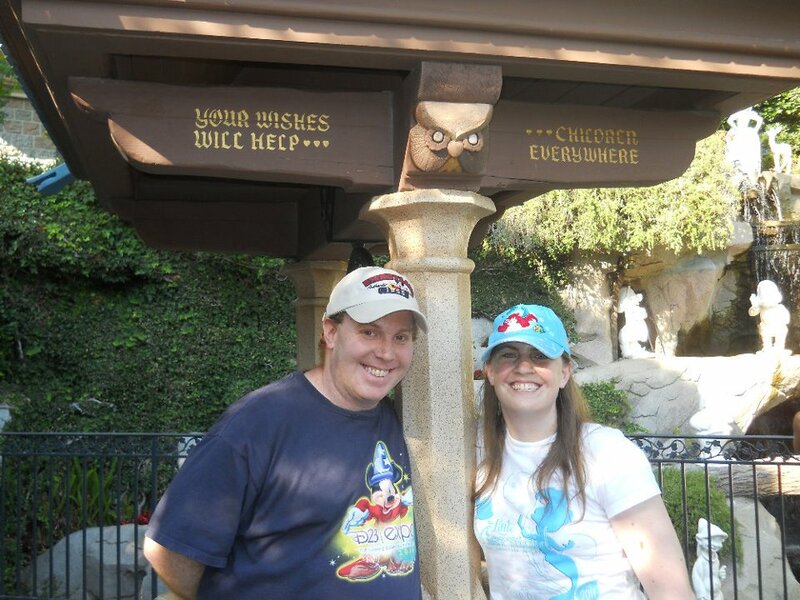 This is one of my favorite photos of Brooke and I at Disneyland. It was taken back in the summer of 2011. On this day, we went to Disneyland with our small group from church. It was by this wishing well that I proposed to Brooke back in 2008! The sign above us seems perfect. I’m the dreamer and Brooke is all about the kids. 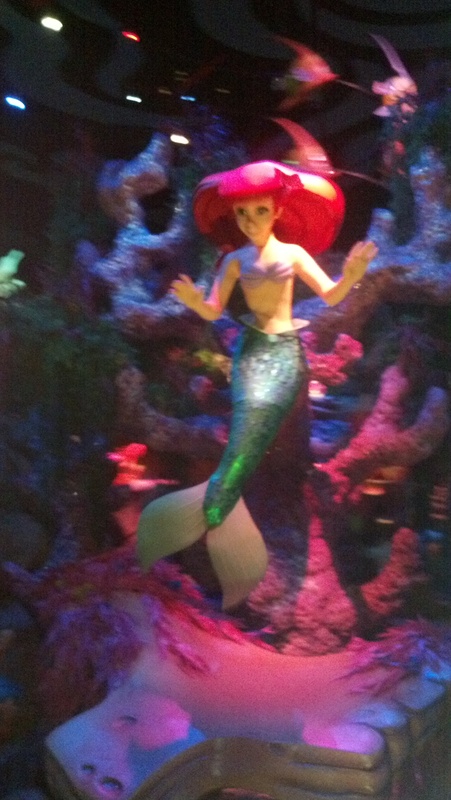 For those of you who didn’t have the chance to take in Ariel’s Undersea Adventure at Disney’s California Adventure in its first year of operation, this photo might look strange to you. 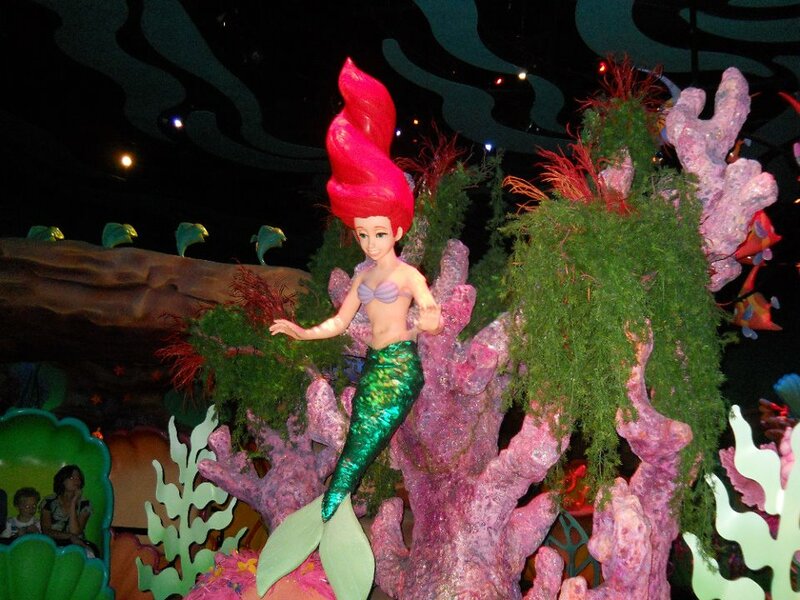 When they initially opened the attraction, this is how Ariel looked in the Under the Sea part of the attraction. In response to the complaints of some fans, Disney changed Ariel to look like the above. However, those of us who went on the attraction in its first year will forever remember the ice cream cone shaped Ariel hair. Last year, Brooke and I got to take our nephew, who was visiting on his spring break from Houston to Disneyland. 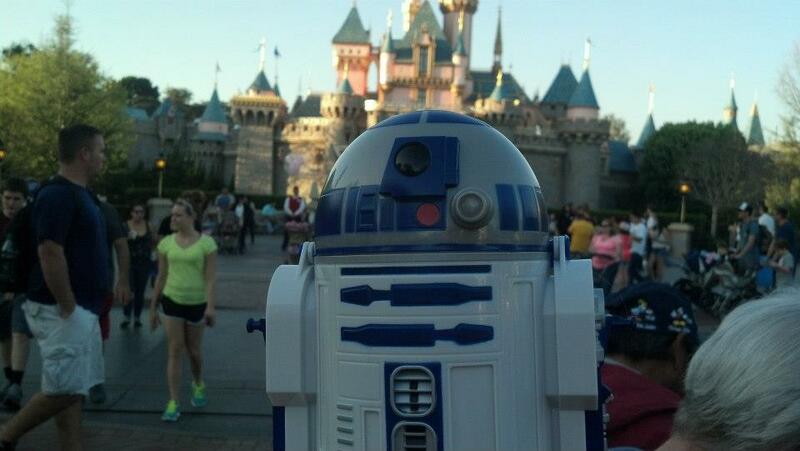 R2-D2 joined us. That was also a really fun day! Ah….if you can’t take a stroll up Main Street U.S.A. in person, take one virtually. I guess this shows that life on the crazy train can sometimes be alright. Maybe a trip to Disneyland needs to happen soon. Hmmmm. I’m sorry to hear you’ve been having a tough time–hopefully things will settle down soon! Thanks. I hope so as well.